Sean Gray’s teaching is focused on the expansion of all aspects of the self. By allowing the breath to bring awareness into the body and into the practice, Sean intends to connect his students to a deeper intuition, where they are able to reflect on the personal challenges along the path of development and healing. Drawing from the study of various characteristics of yoga, he gracefully integrates multiple aspects such as the eight limbs, chakra awareness, and meditation, amongst many others. Being from Santa Monica, a true Californian by birth and by nature, Sean grew up surfing, skateboarding, snowboarding, playing sports, and raising hell. He was reluctantly introduced to yoga in 2001, but after a humbling experience, was quickly hooked. Sean completed his first Vinyasa based training with Tamal Dodge, followed by 200 and 300 hour studies at Yogaworks with Jesse Schein, David Kim, and Joan Hyman, as well as developing a dedicated Ashtanga practice under the guidance of Sonya Cottle-Hanlon. 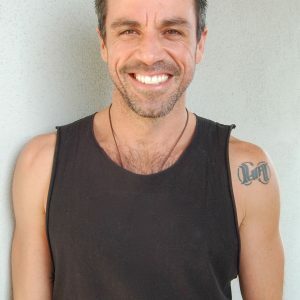 Today Sean teaches Vinyasa Flow & Ashtanga for YogaWorks, as well as leading workshops and retreats worldwide. Embodying his personal style with varied learnings, Sean also adds uniqueness to his practice every day from moments of real life. Follow Sean on his website, FB, Twitter or Instagram.